​Are you ready to learn Reiki? ​Approximately 7 hours of training, depending on amount of questions and practice time needed. Includes manual, Reiki Level 1 certificate and on-going mentoring as needed. ​​In this beginners class, you will learn the basics of Reiki, an overview of the energy body (chakras, aura, etc. ), along with how to provide Reiki to yourself and others. During this time of high stress and busy lifestyles, Reiki can be used to reduce stress and achieve body and mind relaxation. Practicing Reiki can help you become more calm and peaceful under stressful situations. 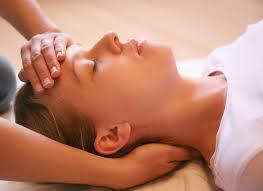 The emotional benefits of Reiki include: being more positive, increased self-awareness and being more in the present. It also helps to regain focus and perspective with little effort and time.You will be amazed at the profound effects it has on your life and that of your family and friends. Everyone! Health care professionals can easily incorporate Reiki into conventional settings; parents and teachers comment on how it helps calm children, along with themselves; teens feel empowered to combat teen angst. Reiki Level 1 provides a self-treatment component that is very effective and powerful. It is a wonderful gift to offer to yourself for self-healing.